Inspired by a comic from the fan comic WoW, Eh?, created and drawn by Cadistra. Here's a picture of the little guy! Cadistra's comic aside, I'd love to get one of these for having kept so many cooking ingredients in the bank for donkey's years. Wait! No! I clean out my bank! Honest! Thats really weird ability set for that pet... only the first slot ones do damage (and neither really that good alone as chew has cooldown and absorb does really low damage), rest is just all kinds of utility things. I guess best setup is chew, and food coma as they sort of combo, with either crouch or stench, depending on whether you prefer guaranteed damage reduction or rng. This is a very good ability set, i can see him as a perfect pet for catching pets in the wild. The abilities don't hit that hard, he has limited heals, cleanse and a stun. As well as the magic racials make him immune to those hard hitting pets (Lil' Oondasta vs my level 1 Filthiling...took Oondasta 3 turns to kill it :D). Created this pet today, there is no recipe for it and I'm not sure if it comes from any cooking recipe but it popped into my bags as an extra while i was cooking my Festmahl der Gewässer. 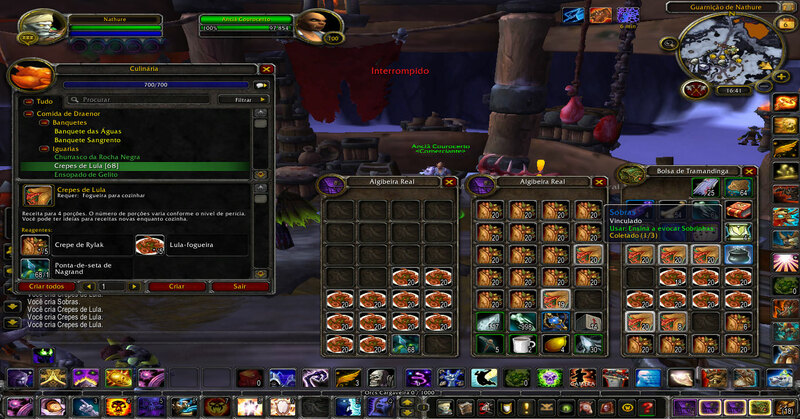 Made 100 feasts so either I am lucky or someone can go make a million more to figure out a drop chance, but I have no clue whether it can proc from other food. Since I've collected hundreds of Crescent Saberfish from leveling up fishing, I decided to see if spamming the Saberfish recipes would yield one of these little guys. After making over hundred sets of the recipes, no Lil Leftovers for me. Either bad RNG for me, or his drop rate is exclusive to the Feasts of Draenor (which is honestly more likely). I got this pet earlier today while making Calamari Crepes. I can guarantee this isn't made just from feasts. my banker has only made the required feasts of the waters to hit max. today I was spamming HASTE 100 Food (Frosty stew? IDK I just sell things Don't ask me names of most things that don't sell super fast, okay?) and CALAMARI CREPES. Found him right THERE. 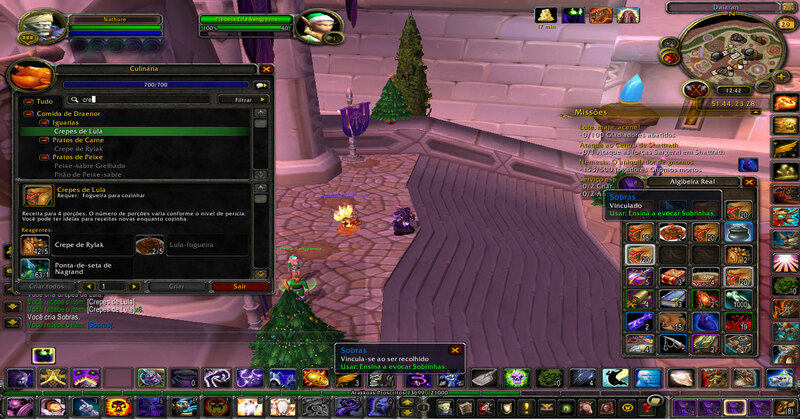 Sent him to my Co-GL who collects pets. My lovely gross baby! ;w; I hope he's useful to anyone who finds him! Also a HUGE thank you to Blizzard for putting him in! ♥ I'm honoured beyond belief! I can't guarantee that it doesn't work but... I just made 124 STACKS of Frosty Stew and didn't get this to drop. I'd try something else. Note: This pet does not accept Magisches Leckerli, because food does not eat food (lol). Today, i resolve to made some Calamari Crepes again ....i did about 100 productions and got it again! The 100 stat foods will probably be cheaper to make than the feasts, which one is best depends on your server's auction house, so try to find one with the cheapest ingredients and go for it! Don't be dishearted if you don't see one quickly, it is VERY rare, I have personally cooked around 800 recipes before seeing mine (that's close to 5000 items, considering each recipe makes 6 food at 700 skill). Managed to get the pet today by making Schläfer Surprise. I assume I got lucky, made about 15-20 stacks of the food before I got it. You can imagine my surprise when this appeared in my inventory when crafting something as simple as grilled saberfish. when you try to feed this guy a magical pet biscuit you get a message that says "food cannot eat food"
Lil Leftovers is not Draenor Feast drop only. Got two: one from +75 food and one from +100 food. It says "cooking" so I wouldnt be surprised if it proc'd while making "Spiced Bread". To give an idea for every 500+ cooks I got the pet. Not saying I'm correct but that's the drop rate I got. BTW: I just might buy 1k spiced bread mats hit cook all and come back an hour later just to see if it dropped. If it does Ill post it. 6225 Calamarescrepes later, this little stinker is MINE! Sadly, I don't have the on any Horde toons, so getting him took quite a bit of time. If he sells on the AH, it will have been worth it, HOWEVER...I now have 2 guild banks packed with food and my chef's bags/mailbox are beyond overflowing with foods that turn into the 100 stat food. Dear 6.1, please don't hurry up with your 125 stat foods, I need room! I really hope that the new fish recipes in 6.1 will drop this pet. They'll be much easier to farm mats for than any of the recipes that currently drop it. I'm starting to wonder whether there's something to the idea that multistrike food has a higher chance. That's a peculiar connection for the code to have, but after cooking a few hundred Draenor recipes on alts today (none of which were multistrike food), I switched over to my main to make my first stack of the new 125 multistrike food, Salziges Kalmarröllchen. Lil' Leftovers popped on the second one. Probably just confirmation bias, but there it is. Just got it from doing the new 125 crit food (Pickled Eel). After about 200-300 of them. Confirming that this little guy can be created by crafting the 125 stat food introduced in 6.1. I crafted 196 Sleeper Sushi and was lucky enough to receive 2 of them! I was got mine from cooking about 5 stacks of Salziges Kalmarröllchen. Not sure if it was a bug, but I was able to sometimes proc two from cooking one. The chance of Essensreste spawning, based on reading more than a dozen people's experiences cooking a lot of these foods, seems like it's on the order of 1 in 2000 (could be half that or twice that, but it's a rough guess). There is not enough data to suggest whether certain types of food affect the chance. The average list price on auction houses for Kleiner Essensrest, based on all US realms, is 5695 gold as of September 2015, and is routinely around 2000 gold on high population realm like Stormrage-US. (Source: The Undermine Journal). Based on this info, depending on the pet's value on your realm (2k-6k gold), and an estimated 1 in 2000 proc rate, you could figure that each time you cook an item, the chance of a pet spawning adds 1 to 3 gold worth of value. So it's not worth cooking food at much of a loss to try and get this pet, unless you've got some psychological fixation on proccing it yourself, or you can't find one for sale on a realm where you have enough gold to buy one. If you cook food to sell at a profit, this adds a small chance of some extra profit...or a grotesque pet if you want to keep it! Just to confirm, it does drop in Legion. Got it while cooking Meeresschnitzel Talador. Took me lots and lots of fish to cook though. I do not believe we can get this pet any longer with Legion. I made over 25,000 Gorgrond Chowder and Surf and Turf and the Leftovers never dropped. My partner and I worked days collecting meat because we had lots of fish and herbs saved up. After making over 30k (thirty thousand) 100 stat Delicacies. We were unable to obtain even one Lil' Leftover pet. I believe you can no longer get this pet. I can confirm that this item/pet is still obtainable as of January 28 of 2019. I just got one after making over 6000 dishes, between 6k and 7k. Approximately, I made 2k clefthoof sausages, 2k skulker chowder, and then combined them to make 2k gorgrond chowder. I have a screenshot, if anyone wants proof, i can upload it. Zum Reinbeißen niedlich, trotzdem nicht zum Verzehr geeignet.